The company will use the funds to fuel international expansion and expand its services in India. Chennai-based self-publishing start-up, Notion Press, today announced that it has raised USD $1 million in pre-series A funding from High-Net-Worth Individuals (HNIs). The deal will help Notion Press consolidate its market leadership, strengthen its management team and expand its services in the market. Notion Press is a self-publishing platform for Indian writers to publish and sell books around the world in both print and eBook form. 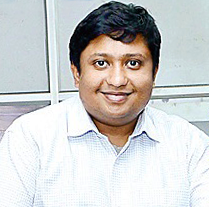 It was founded in 2012 by two engineers, Naveen Valsakumar (30) and Bhargava Adepalley (29), and Jana Pillay (31), who has a background in publishing. Since then it has published over 2000+ authors, sells books in over 100 countries and is today the fastest growing publishing group in India, well-known for its high-end professional publishing solutions to authors. Today, Notion Press offers various publishing, book printing, distribution and marketing services to both authors and publishers from around the world. The technology start-up aims to solve the challenges associated with book publishing and distribution by creating highly scalable solutions that work across the globe. Notion Press was started as a platform for new writing talent from India to emerge. While self-publishing is not a new concept, the Chennai-based start-up stands out for its innovative methods. The company provides tools; data and expertise that enables authors take business decisions. “We are changing the way publishing solutions are provided to authors in India and do not see self-publishing as a pure service-driven business, our home-grown proprietary technology allows us to automate most parts of the publishing, distribution and book marketing workflow. Our USP is that we treat every book as a start-up and the author as its CEO.” explains Valsakumar. Notion Press is now working on a technology product that will help authors actively promote their work. Apart from its global expansion, it is also looking to offer its services to more Indian languages. About Notion Press Media Pvt. Ltd..! Notion Press started on January 1, 2012 as a provider of high quality publishing services to authors in India. We are a launch-pad for writers from India to publish and sell books, eBooks around the world. Authors are mentored by our team of publishing and book marketing experts who assist them in every step of the publishing process.